Join Solid State bookseller and policy enthusiast Chris Watson for a discussion of Evicted by Matthew Desmond. The book is 10% off in April. In Evicted, Princeton sociologist and MacArthur “Genius” Matthew Desmond follows eight families in Milwaukee as they struggle to keep a roof over their heads. 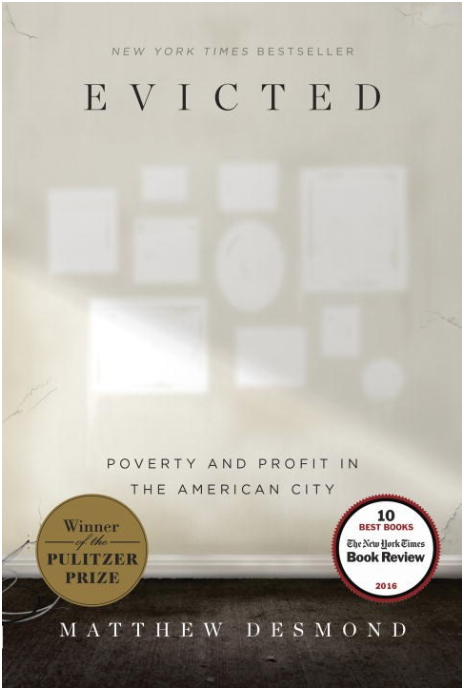 Hailed as “wrenching and revelatory” (The Nation), “vivid and unsettling” (New York Review of Books), Evictedtransforms our understanding of poverty and economic exploitation while providing fresh ideas for solving one of 21st-century America’s most devastating problems. Its unforgettable scenes of hope and loss remind us of the centrality of home, without which nothing else is possible.